News from LMCU: Have You Tried Out LMCU’s New Member Travel Club? Have You Tried Out LMCU’s New Member Travel Club? Springtime is prime time for summer vacation planning. 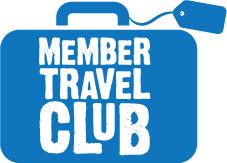 If you’ve got a trip on your mind, check out our latest exclusive member perk, the LMCU Member Travel Club. It is your new gateway to big savings on worldwide fun and adventure.